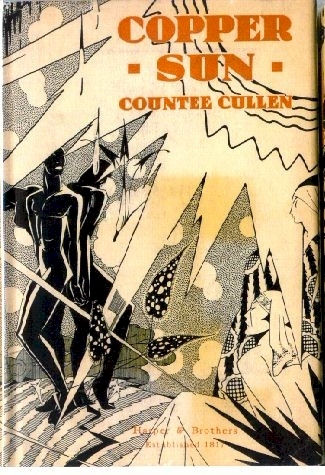 Born in 1903 in New York City, Countee Cullen was raised in a Methodist parsonage. He attended De Witt Clinton High School in New York and began writing poetry at the age of fourteen. In 1922, Cullen entered New York University. His poems were published in The Crisis, under the leadership of W. E. B. Du Bois, and Opportunity, a magazine of the National Urban League. He was soon after published in Harper's, the Century Magazine, and Poetry. He won the Witter Bynner Undergraduate Poetry Prize and other awards for his poem, Ballad of the Brown Girl, and graduated from New York University in 1923. That same year, Harper published his first volume of verse, Color, and he was admitted to Harvard University where he completed a master's degree. Cullen's other verse collections include: The Black Christ (1929). His novel, One Way to Heaven, appeared in 1932. The estate of Cullen does not wish you to sample his work. I am complying with their request to remove his poetry from this web site. Perhaps some day they realize that fan exhibition of his work on the web will do far more for spreading his word than publishing books. Here's what has been removed.